Since “it all started with a little red can in 1919," fine and commercial artists, educators, crafters and designers have relied on the premium quality of Best-Test Products. 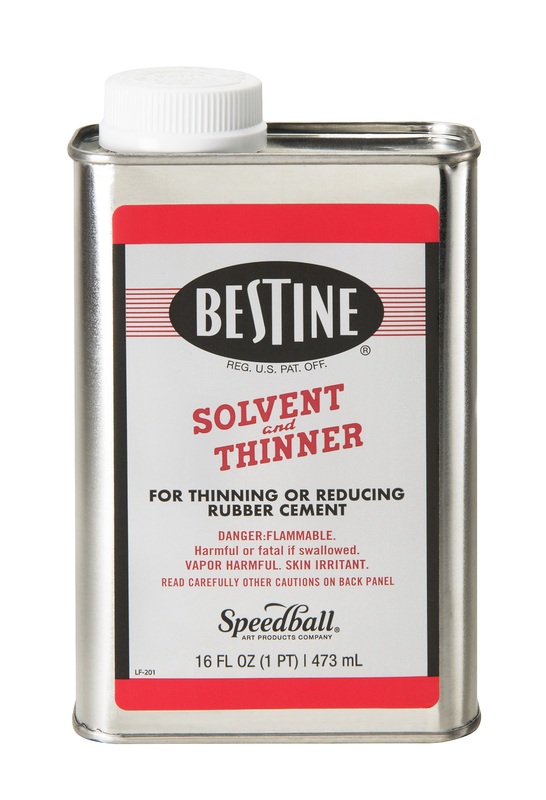 Bestine was originally formulated for thinning or reducing rubber cement, but is also ideal for cleaning inks and spray adhesives from nearly any surface, or cleaning parts. In addition, Bestine is great for removing decals, labels and other adhesives from all types of surfaces, including most plastics. Available in 16oz., 32oz. and one gallon sizes (NOTE: all sizes of Bestine are for artist use only; gallon size not for sale in California). 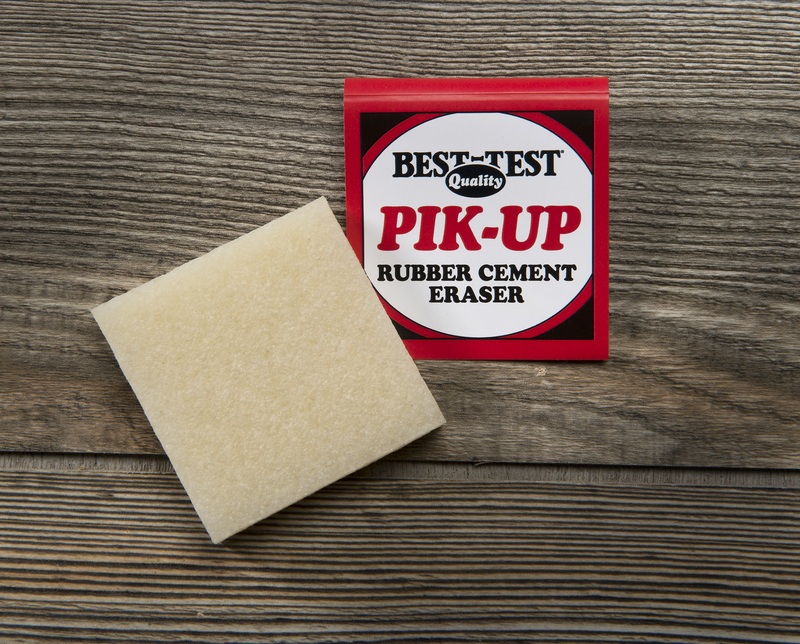 Made of natural, crepe rubber, Best-Test Pik-Up is designed for removing excess rubber cement from small areas and tight corners and may also be used to remove masking fluids.